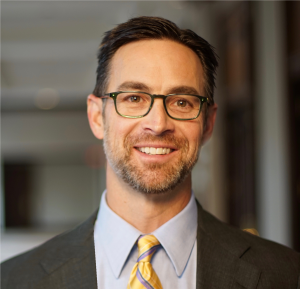 Matt is a founding partner of Evergreen Legacy Planning, LLP, a national law firm based in Evergreen, Colorado. He helps affluent individuals and families manage their affairs privately in protective, tax-efficient structures. His practice focuses on innovative legal solutions for entrepreneurs, individuals with complex or unusual assets, and families seeking to preserve and protect wealth for future generations. He is a leader in designing and implementing creative legal solutions to maximize protection and privacy and minimize tax liability. Matt is admitted to practice law in Colorado, Wyoming, and Alaska, and often works with other attorneys as co-counsel for complex matters. (www.EvergreenLegacyPlanning.com). Matt was selected by his peers as a “Super Lawyers Rising Star” for his contributions to excellence and innovation in practice. asset protection, and strategic business planning and succession. Matt is a member of the Colorado, Wyoming, and Alaska Bar Associations, WealthCounsel, and the Society of Trust & Estate Practitioners (STEP-Wyoming chapter). Matt speaks and writes frequently on a wide range of strategic legal topics. He volunteers his time as a member of the Governor’s Blockchain Council and as a member of the board of directors for Team Evergreen, a nonprofit cycling club that has donated more than $2 million to nonprofit organizations in Colorado and beyond. Matt holds a Bachelor of Arts degree (Political Science) from the University of Central Oklahoma and a Juris Doctor from the University of Oklahoma College of law (2000). Matt lives in beautiful Evergreen, Colorado. He is married, and has two grown (and amazing) daughters who are pursuing their own dreams helping those who cannot help themselves. Matt is an avid cyclist and reader.